I am a big fan of Aldi, we shop there a lot and I am always surprised how a smallish shop has so many interesting and unusual products that come and go. I go on about my Foodstuff Finds in Aldi so much I sometimes think the ladies at work must think I’m on commission, I’m saying this because I love Aldi and the review that follows does not represent my usual view of items stocked there. 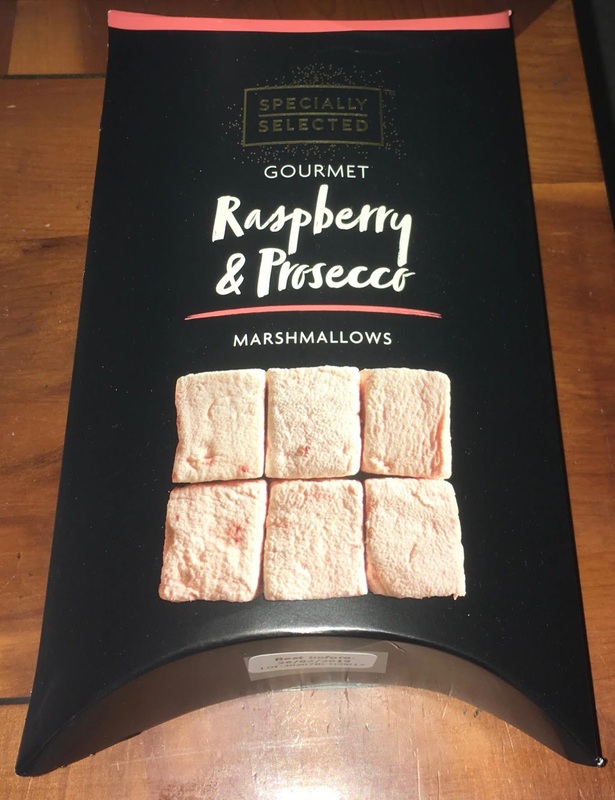 It started out okay, we were wandering around the store doing our weekly grocery shop and in the specials section I spotted this box of very posh looking Raspberry and Prosecco Marshmallows. They are from the Specially Selected range which means they are usually to a very high standard. 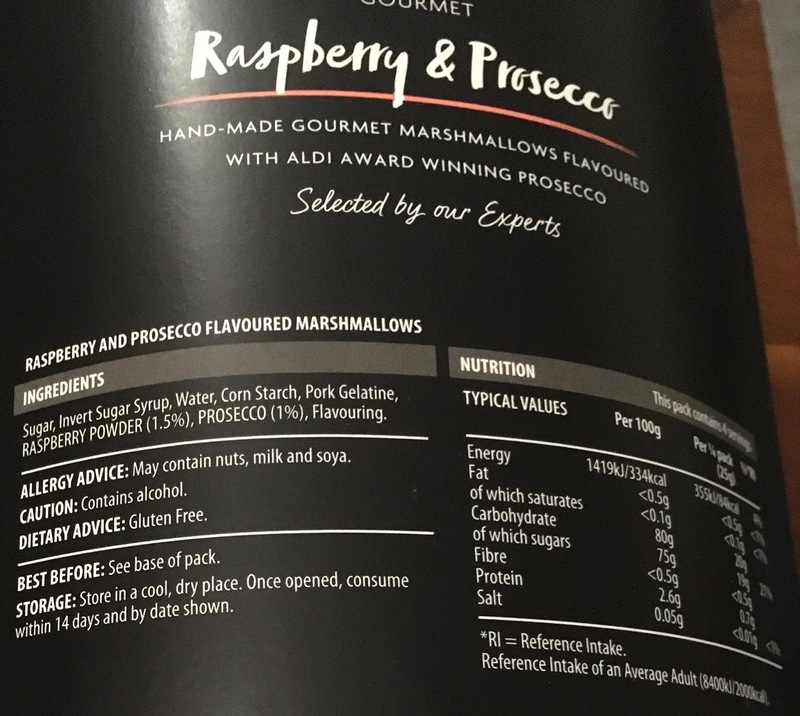 I’ve had chocolate truffles filled with Raspberry and Prosecco which I loved so I had high hopes for this packet of marshmallows. Once home I opened up the box, I was aware that the aroma was very curious, it was a little sour and I think was supposed to be the prosecco, but it was nearly akin to vinegar. There were a lot of mallows in that small box, that much impressed me. 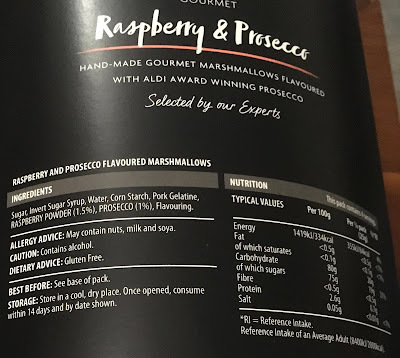 The Raspberry and Prosecco Marshmallows were very soft too, ultra fluffy, but I can’t praise the texture really as I found the flavour inedible. They tasted sweet, but not of raspberry it was so very artificial. The box doesn’t seem to mention artificial flavours directly so I’m aware this might just be me. They had almost a plastic like flavour to their taste to my taste buds. It was so bad I binned them. 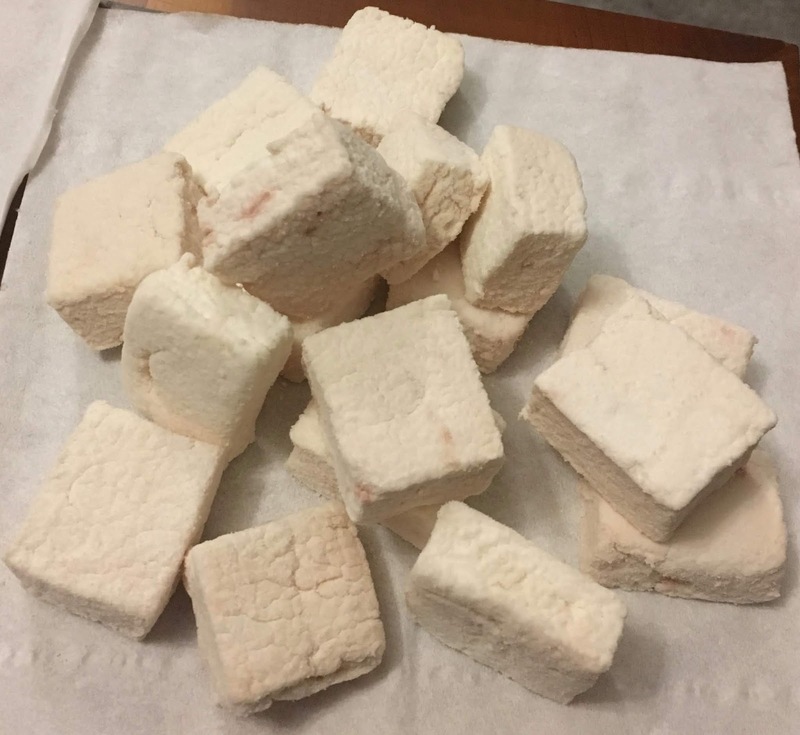 I don’t think I’ve done that before to marshmallows so I think it is safe to say these were not for me. It is just a personal opinion, and as I said I have had very few items I’ve disliked from Aldi. Here is is hoping next week’s shop brings with it a few more specials which are on target.